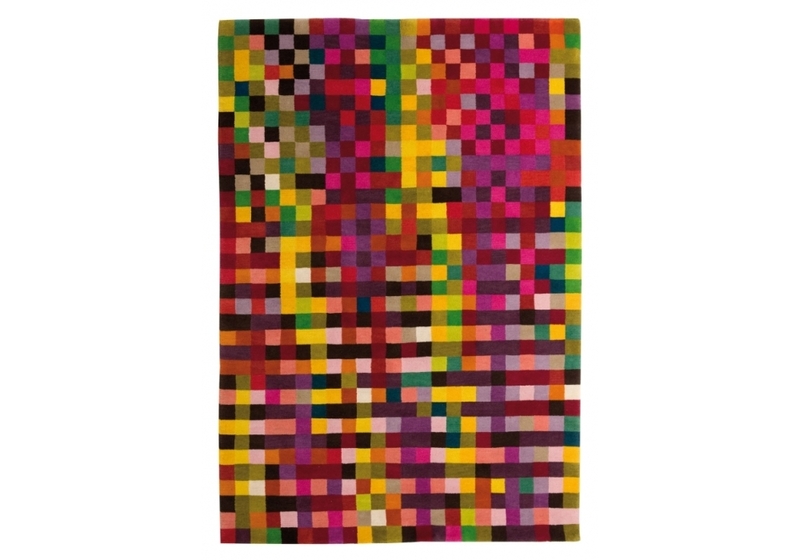 Nanimarquina, Digit 1 carpet: The graphic artist who designed this collection bases his work on the decomposition of colour through pixels, a technique that has been applied to the design of sofas, cushions, shirts… Now he embodies his special vision in these two rugs made from hand-knotted wool, one in vibrant colours, the other in more gentle tones. 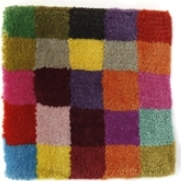 Nanimarquina, Digit 1 carpet: The graphic artist who designed this collection bases his work on the decomposition of colour through pixels, a technique that has been applied to the design of sofas, cushions, shirts… Now he embodies his special vision in these two rugs made from hand-knotted wool, one in vibrant colours, the other in more gentle tones. 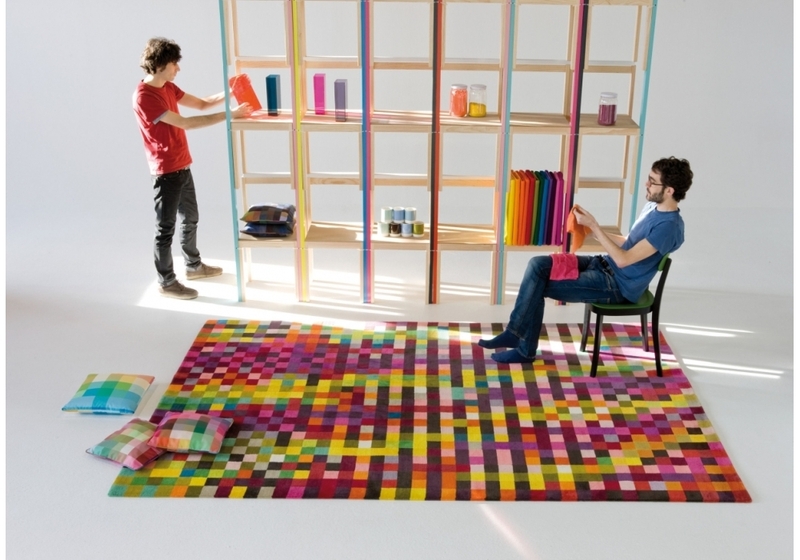 Both rugs have their source in photographic enlargement, giving the pieces a digital and technological look. 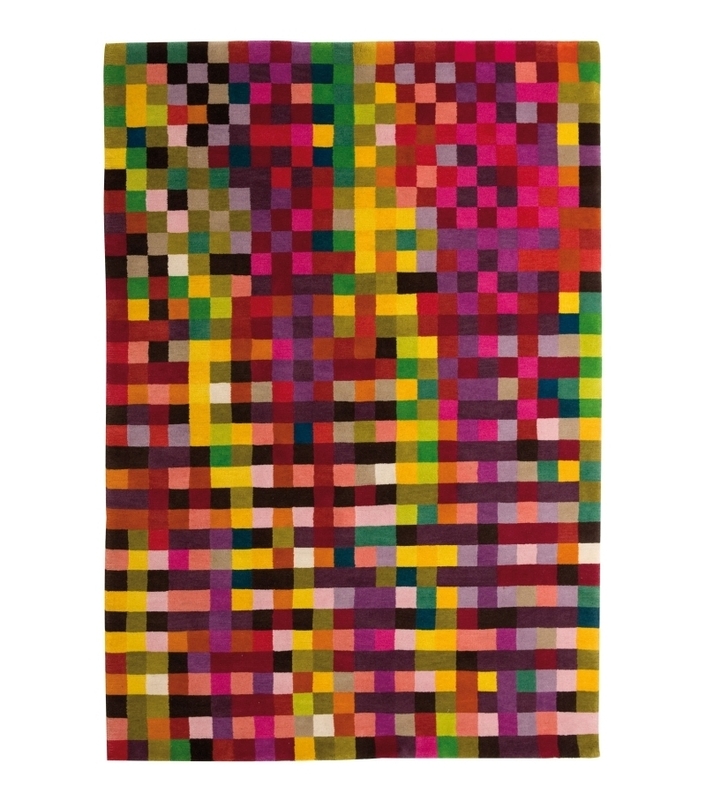 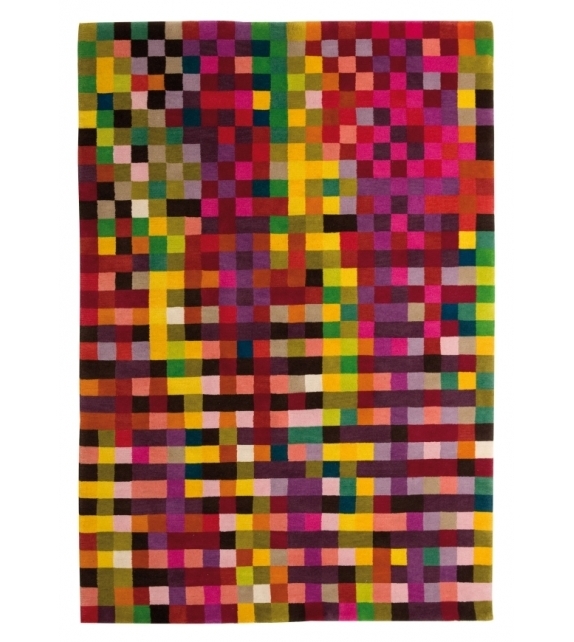 Depending on the light or time of day, a glance captures the random union of one part of the 26 colours that make up the rug, always creating surprising groupings that are surprising to the eye; really shocking optical effects.